In the wake of SOPA and PIPA, there is yet another terrifying bill on the table. The Cyber Intelligence Sharing and Protection Act (or CISPA for short) which is currently being discussed by Congress. The title of this controversial act is H.R. 3523 and it has been dubbed the Cyber Intelligence Sharing and Protection Act. 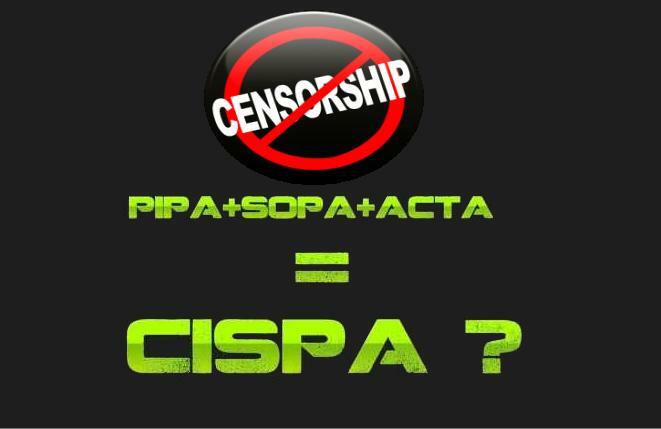 It is feared that CISPA is far worse than SOPA and PIPA in its possible effects on the Internet. While this paper has been created under the guise of being a necessary weapon in the U.S. war against cyberattacks, the wording of the paper is vague and broad. It is thought that the act could allow Congress to circumvent existing exemptions to online privacy laws and would allow the monitoring and censorship of any user and also stop online communications which they deem disruptive to the government or to private parties. CISPA is described as a “cybersecurity” bill. It proposes to amend the National Security Act of 1947 to allow for greater sharing of “cyber threat intelligence” between the U.S. government and the private sector, or between private companies. The bill defines “cyber threat intelligence” as any information pertaining to vulnerabilities of, or threats to, networks or systems owned and operated by the U.S. government, or U.S. companies; or efforts to “degrade, disrupt, or destroy” such systems or networks; or the theft or “misappropriation” of any private or government information, including intellectual property. CISPA has also been condemned by the Electronic Frontier Foundation, an online advocacy group. The Electronic Frontier Foundation (EFF) adds that CISPA’s definition of “cybersecurity” is so broad that “it leaves the door open to censor any speech that a company believes would ‘degrade the network.’” Moreover, the inclusion of “intellectual property” means that companies and the government would have “new powers to monitor and censor communications for copyright infringement.” According to both CDT and EFF, this means some of the largest corporations in the country, including online service providers like Google, Twitter, Facebook or AT&T could, if pressured, copy confidential information from a user and send this information to the Pentagon, as long as the government believes there is a reason to suspect wrongdoing. Critics warn that CISPA gives private companies the ability to collect and share information about their customers or users with immunity — meaning we cannot sue them for doing so, and they cannot be charged with any crimes.